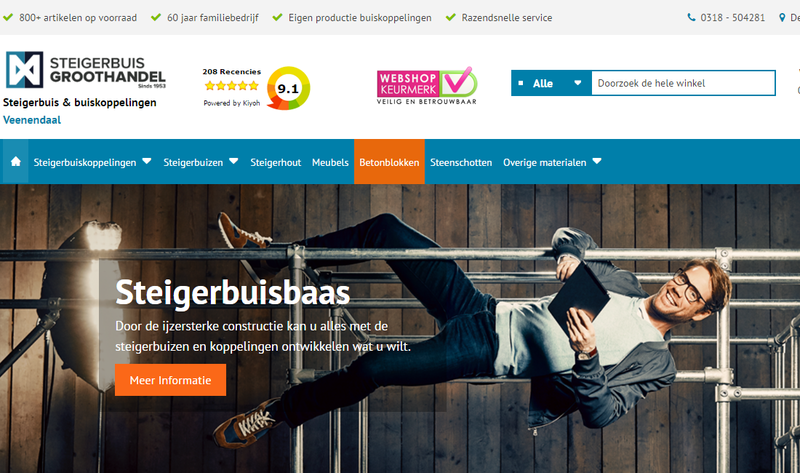 Steigerbuis is for anyone looking for special, practical and beneficial solutions. In the extensive range you will always find exactly the products you want. With all precise data, sizes, drawings and technical drawings. Scaffolding is standard customized, from 50 to 6000 mm and everything in between. And we have a large stock so you have everything fast at home. Whatever you think, you make it with scaffolding pipes, pipe fittings and accessories of scaffolding wholesale! There were many issues in their current system. Home page was not effective, emails were not effective and something was missing in admin panel. Home page and product pages were revamped. With pixel-perfect vision we created Magento themes for each unique page. Bounce rate decreased and customer follow-up became easy.